We were contacted by a customer in the South of England looking for a complete Gear pump set for pumping Heavy Fuel Oil (HFO). The pumps were to go into an ATEX zone, so needed to be ATEX Eexd IIB T4. The customer required a maximum capacity of 24m3/hr. (400 LPM) at a maximum operating pressure of 3 bar. The power supply available was 3 phase electric. The customer was open to any brand of pump. So, we started to engineer our solution. When looking into which brands to offer against which application, when the customer has not specified any in particular, we look at the ranges of pumps we have to offer and then work with the customer on the factors that are important to them – some customers are looking for the cheapest option; others the quickest. Some customers want the newest pump on the market; others prefer to stick to the same pumps they have used for years. Most of the time, our customers are counting on our expertise to guide them to purchase the best pump for the job. 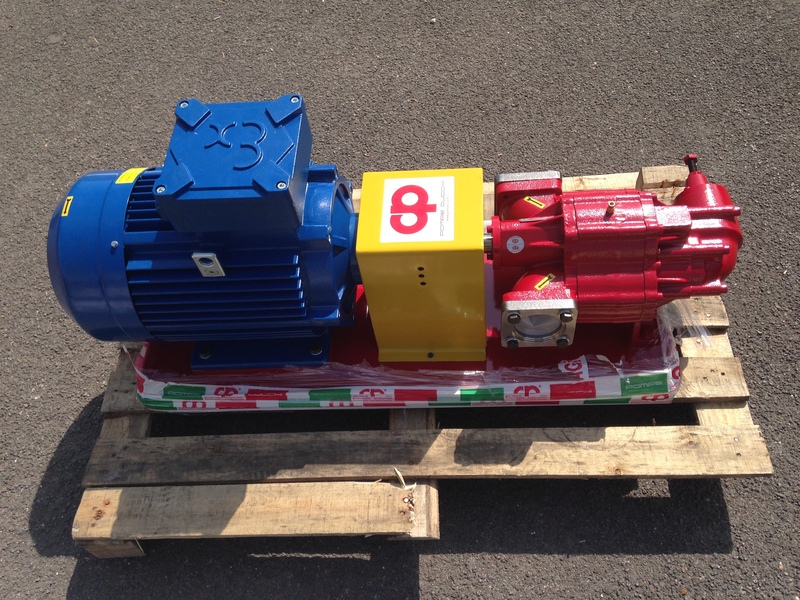 Being an independent industrial pump supplier, we are used to looking into various options from many manufacturers. We decided to offer a Cucci pump in this instance. The pump met the needs of the application and the customer completely. This customer was so pleased with the pumps offered that he actually ordered two!